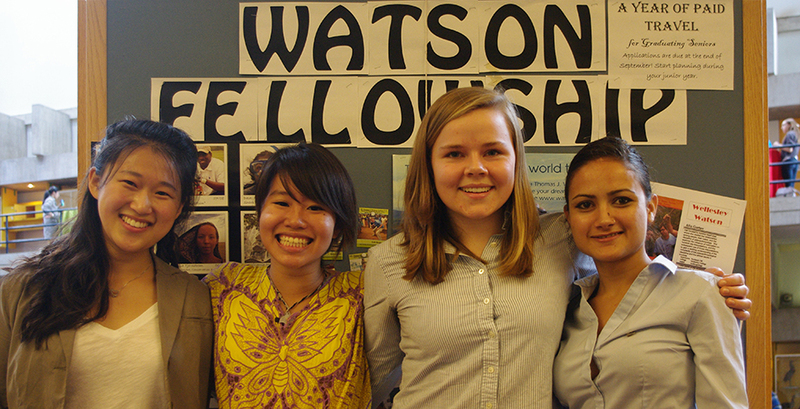 Alice Choe ’13, has been awarded a prestigious Thomas J. Watson Fellowship for 2013-14. The fellowship offers recent graduates of "unusual promise" a year of independent, purposeful exploration and travel—in international settings new to them—to enhance their resourcefulness, imagination, openness, and leadership and to foster their participation in the world community. The Thomas J. Watson Fellowship Program was established in 1968 to honor IBM founder Thomas J. Watson, Sr. and his wife, Jeannette K. Watson’s long-standing interest in education and world affairs. Wellesley was first included in the Watson competition in 1980. Since then, 56 Wellesley women have won Watson fellowships, according to Ellie Perkins, director of Fellowship Programs.